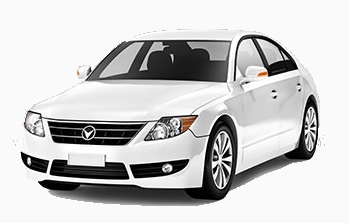 Sometimes it is necessary to borrow a friend or relative's car or lend them your car, it can be a lot cheaper than hiring a car for a day or two. Maybe you need to move some belongings or people and need more space to do so. Cover4insurance have arranged, in partnership with tempcover.com, a short term car insurance product that is available for any vehicle worth between £1,000 and £40,000 which is roadworthy. Having no insurance whilst driving, is foolhardy and irresponsible as car insurance is a legal requirement, and accidents can easily occur. Always make sure you have car insurance on the car you are driving. If the police catch you driving without insurance, you could be subject to the following penalties. 6 points on your license. All penalties are easily avoidable if you take out the appropriate vehicle insurance. We offer short term insurance on both vans and cars for 1-28 days. You can get an instant quote and cover that can be put into place immediately. Temporary van insurance can be arranged for most drivers with a valid UK drivers licence. Whether it's taking your children to university with their belongings or moving house, borrowing a van from a family member or a friend, is usually easier and considerably cheaper than hiring one. 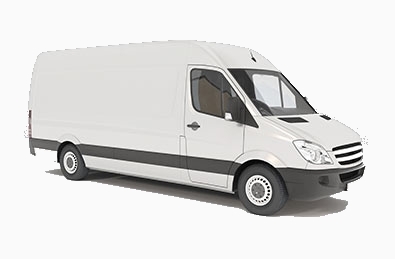 We can cover any sort of van from small Astra Vans to Ford Transits and larger, so long as you are qualified to drive it, we can supply the short term van insurance for you. Buy with confidence, guaranteed! At tempcover.com we are confident that our best price is the cheapest around we will guarantee† to match the price quoted by any other online provider. We search the markets so you don't have to! † Terms and conditions apply. Price match is only available when a competitor quotation is emailed to pricematch@tc247.co.uk. The offer excludes policies for periods of less than 2 days and for proposers aged under 25. Cover provided must be equivalent to that available through tempcover.com and is subject to a maximum discount of £7.50. We've picked a panel of some of the best short term car insurers in the UK. We picked them carefully — not only on price but on the cover and service they offer. We check their prices on a regular basis, to make sure they remain competitive. We have been arranging temporary insurance for people over the last 8 years, with well over one million customers, we are the largest provider of temporary motor insurance in the UK. Save time and money! We compare prices so you don't have to search the internet looking for the right deal. Just pick the best insurer quote and receive your policy in less than 5 minutes. With our cover you can get immediate temporary car insurance to last anywhere between 1 and 28 days (up to 90 days with our learner driver policy). You can even print your policy documents immediately from your computer. Lending your vehicle to someone else can mean you are at risk of losing any no claims bonus you have built up if the worst should happen. You can avoid this by taking out a temporary car insurance policy with Tempcover.com. Your no claims will remain unaffected should the policy holder have an accident. We offer ready-made bundles of packages to suit your needs and budget, such as AA breakdown cover and excess protection. Or if you prefer, you can just select the individual options you'd like to add to your policy, it's up to you. If you are looking to use a van on a short term basis, temporary van insurance is the affordable and flexible insurance option. There are many situations in which the use of a van is needed, but the lack of regular access to one, means borrowing a van is usually the best option. Borrowing a vehicle, no matter what type, you should make sure you have the right type of insurance. This is where temporary van insurance can help you. Why pay for a year’s worth of van insurance when you don't need to use the van permanently? With temporary van insurance from Tempcover, you don’t have to. You choose the duration of the temporary van insurance, without having to pay for more cover than you need. Cover is available for 1-28 days at a time so whatever the job, you can find a policy to suit your situation while saving time and money. Working with a panel of trusted UK insurers, we can offer temporary van insurance to a wide variety of drivers. From young drivers to those with previous convictions. Insurers consider many factors when offering cover. Your driving history, age and location are just some of the parameters insurance companies look at when calculating your risk. This means that while we can provide cover to a large number of drivers; some restrictions still apply. 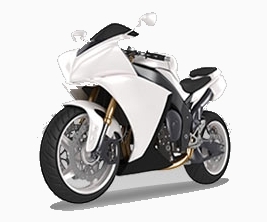 Motorbike riders who only need motorcycle insurance cover for a short period of time, temporary motorbike insurance is an affordable and flexible solution. If borrowing a friend’s or have a classic bike that's ridden only occasionally, it’s often the best option for getting motorbike insurance to suit your needs. Giving you the peace of mind, knowing that whilst using another bike you don’t have to worry if you have an accident. As temporary motorbike insurance is comprehensive, you, the motorcycle and the motorcycle owner are all covered. A temporary motorbike insurance policy, means only pay for period of insurance you actually need, from 1 – 7 days it works around your schedule and puts you in control of the policy. Getting a quote is easy and only takes a couple of minutes, once if you’re approved you will be insured from the time you want to be. Cover is available for riders aged 17-70 from a wide range of backgrounds. While some restrictions are in place, we are sure we can offer temporary motorbike insurance cover for most riders. With the increasing cost of driving lessons with instructors means that private lessons are usually a more affordable option. But as with all drivers, you need to have the right insurance, if you want to practice in a friend or relative’s car, to do so. Learning to drive in a familiar vehicle and at your own pace, normally you would have to be added to the existing cover of the owner’s or purchase an annual learner driver policy. Though these options often can be pricey, because of the little or no driving experience most learner drivers have. A temporary learner driver insurance policy is one way to bring the cost of insuring a learner driver with cover that suits your own particular requirements. Cover is available from just 1 day up to 3 months at a time, so whether you need that last bit of practice before your test or you’re getting behind the wheel for the first time, you can select a policy duration that fits your needs.